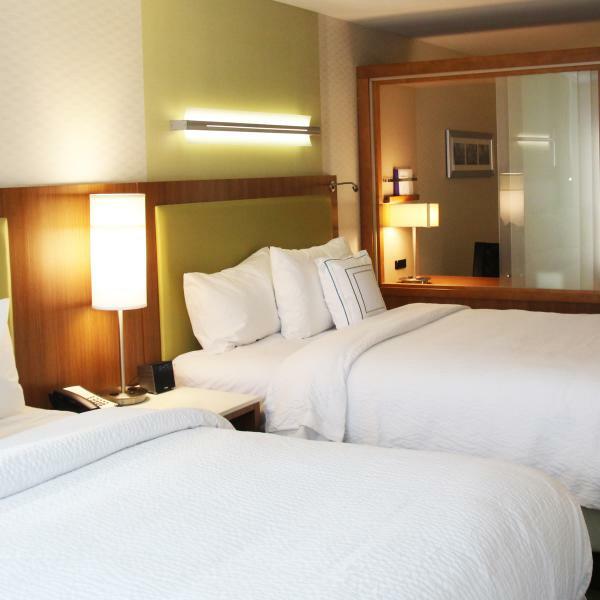 This article was published in our 2018 Bloomington Visitors Guide. Request your copy here. There are few things more iconic to Bloomington, IN than basketball hoops and Bobby Knight but one of them is most certainly its cycling scene. Tucked into the hills of southern Indiana, Bloomington’s terrain can be compared more to that of the rolling hills of North Carolina or Georgia than to the flat, farm fields of the upper half of the state. Whether you’re looking to go out for a leisurely ride around town, get a few laps in at Indiana’s first mountain bike park, or are searching for your Breaking Away moment in the Little 500, the Bloomington cycling scene’s got you covered. First thing’s first, do you prefer the intensity of the road and the confines of the city, or are you more of a kick-your-feet-up and get-a-little-muddy-out-in-the-woods type? Whichever style of riding suits your fancy, Bloomington has everything from beginner routes to more advance-style riding. Not only does the city of Bloomington make sure the routes and roads are up to par with what the riders want, the Bloomington Bicycle Club (BBC) and Hoosier Mountain Bike Association (HMBA) hold rides every week to help those who aren’t familiar with the routes get acquainted. Bloomington, said both clubs are great organizations to contact for more information. The BBC is more active in Bloomington and the HMBA is more statewide. 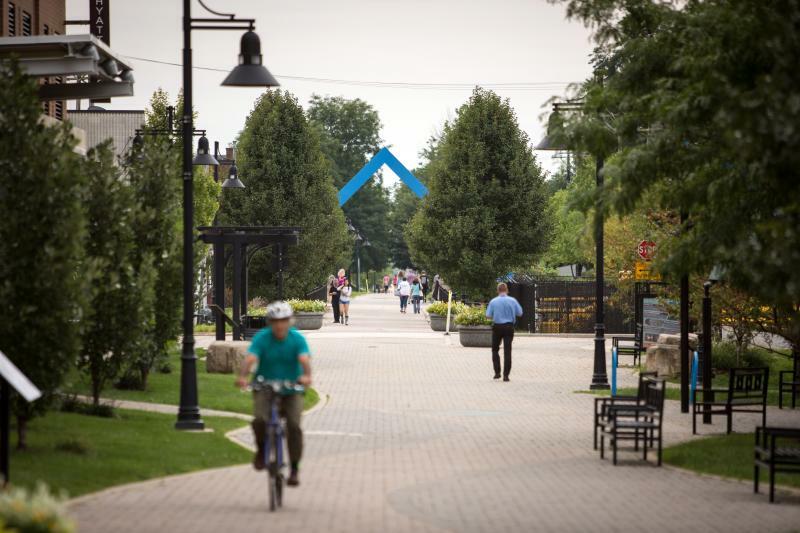 As far as staying more in town, the B-Line Trail is always perfect for an after-dinner bike ride or tour of the city as well as the Clear Creek Trail and Karst Farm Greenway. 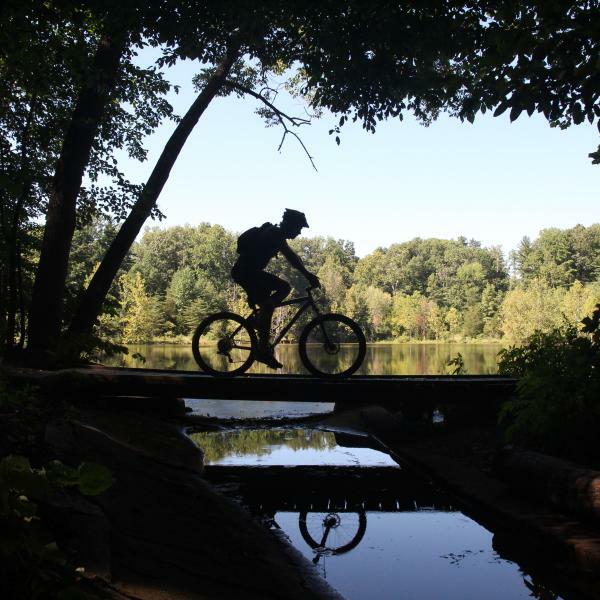 Home to the first mountain bike park in the state, if you’re heading to Bloomington to mountain bike, Wapehani Mountain Bike Park has to be the first stop on your list. Baker also mentions Hoosier National Forest as a great place if you’re looking for something a little bigger and more challenging. 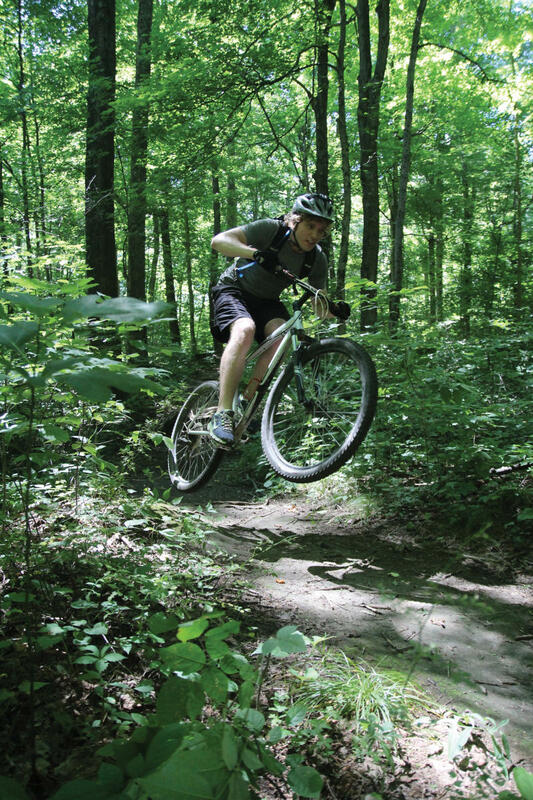 In addition to all that Bloomington has to offer, just 20 minutes east is Brown County a well-known (possibly the best) mountain biking destination east of the Mississippi. 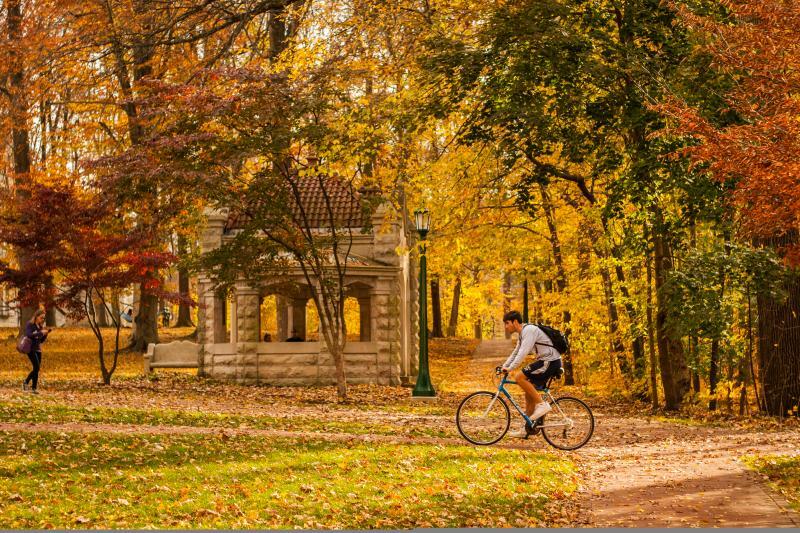 It&apos;s easy to rent a bicycle in Bloomington and enjoy cycling anywhere in the area. Bloomington is recognized as a Gold-level “Bicycle Friendly Community” by the League of American Bicyclists, for “long-standing commitments to providing safe accommodation and facilities for bicyclists, and for their efforts to encourage bicycle travel for transportation and recreation.” According to the City of Bloomington website, Bloomington has “a total of almost 73 miles of bike lanes and trails, including 11 miles of dedicated bike lanes and 35 miles of designated bike routes” making it a perfect place to ditch the car and opt for transportation on two wheels. Around Indiana University’s campus, there are a ton of bike lanes and wide shoulders specifically for commuters, and the B-Line Trail can be used to get from virtually one side of the town to the other. Even her early morning start at 6 am and the cold Indiana winters don’t stop her from riding her bike every day to work. Visiting Bloomington and don’t have a bike? Want to start biking and don’t have a bike? No problem! Stop by one of the many bike shops and pick up a rental to try out for the day or to make your first purchase. He said Revolution Bike & Bean and Bicycle Garage cater more towards racers, while Bikesmiths has more road bikes and commuters, and Salt Creek Cycles is mainly mountain bikes and commuters but they cater to anyone on a bike. Baker chalks it up to, what do you see when you walk into the store? Located right on the B-Line Trail, Bennetti said they get a lot of people right off the trail who are looking to rent a bike for an hour and just cruise. He said they even get people who are in town for a week or so and want to rent a bike to commute for the duration of their stay. 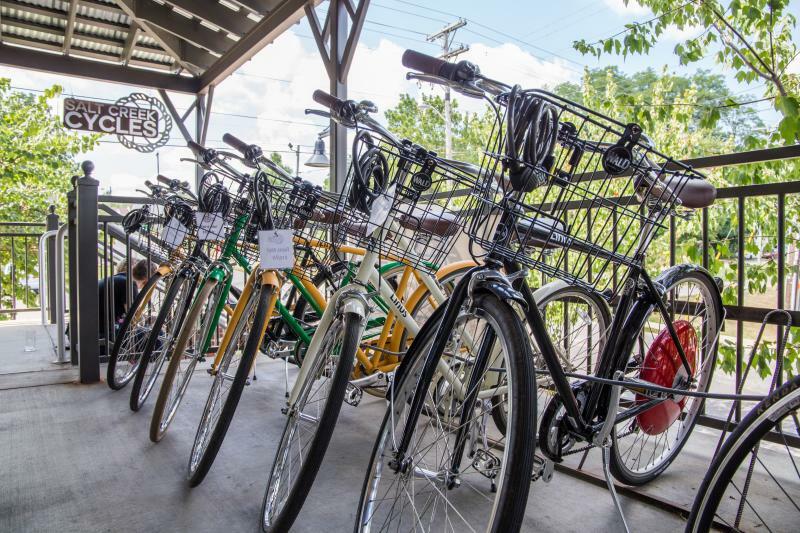 Although Baker is a firm believer that you need a bike for every day of the week, the local bike shops in Bloomington make it easy to rent for a day/week or make an informed purchase for a lifetime. 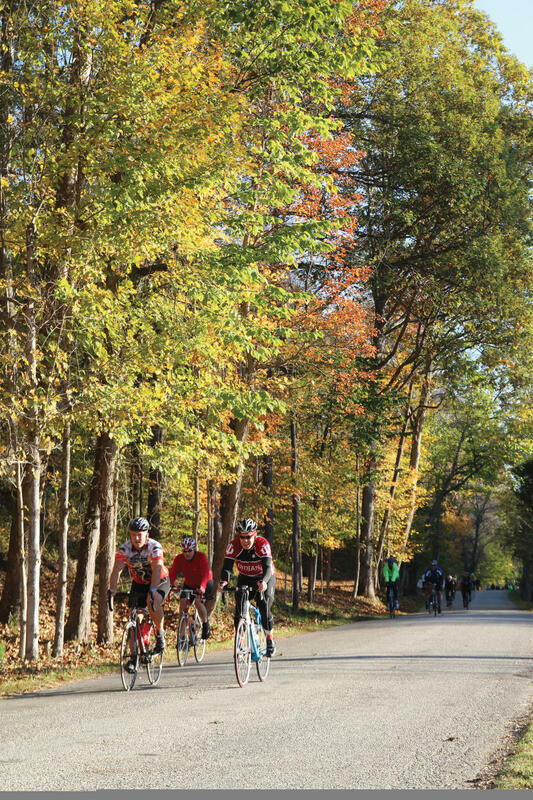 Take your riding to the next level or meet people who share the same passion as you by taking advantage of the many great rides, scenery, and events southern Indiana has to offer. The Hilly is one of those rides that are about as synonymous with cycling in Bloomington as the Little 500. It’s the last ride of the season and gives all riders of every level the opportunity to come out and enjoy each other’s company and a variety of different events, activities, entertainment, food, and craft beer (of course). The Hilly is a not-for-profit ride put on by the Central Indiana Bicycling Association Inc. (CIBA) benefiting three different charities and everyone who works it is a volunteer. 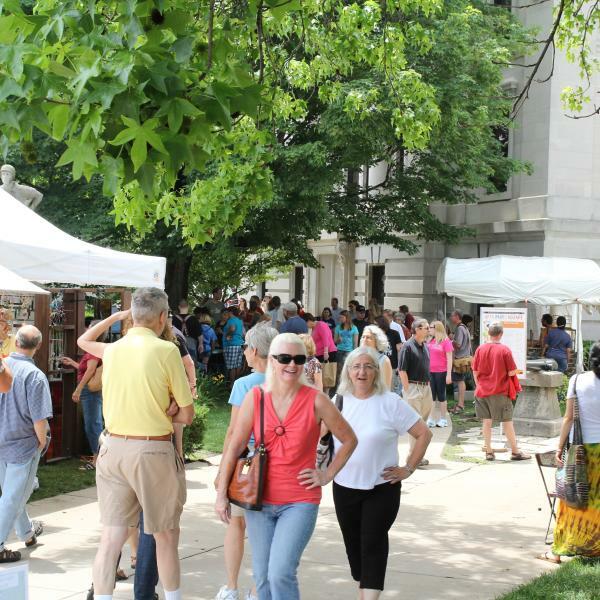 There are two different routes offered on Saturday and Sunday (a 50-mile option and 35-mile option) and they offer free food, entertainment, a large vendor tent, and costume and photo contests. The Hilly truly is a ride for everyone. This year the Hilly Hundred will be celebrating its 51st anniversary October 5-7. From April until November, a century ride (100-mile ride) takes off from Bryan Park swimming pool every Wednesday. 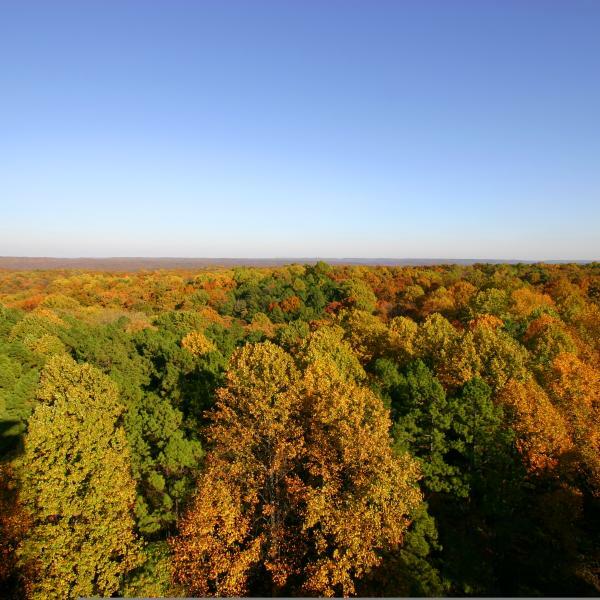 All the rides feature 40-80 feet of climbing in the hilly southern Indiana countryside. 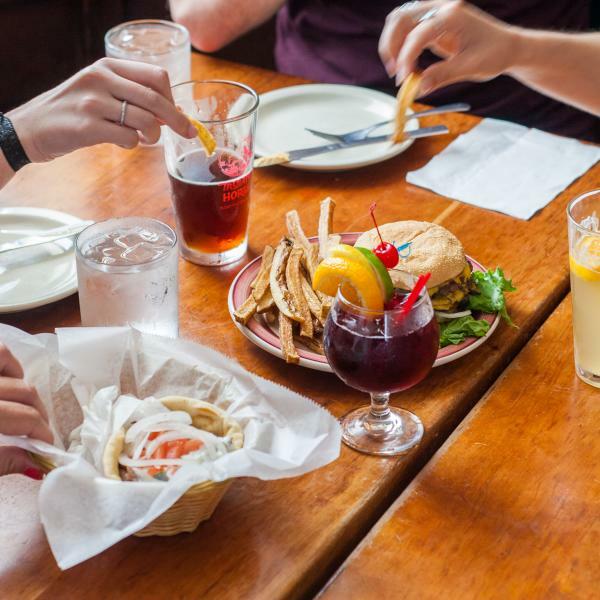 Rest stops and places to eat are provided. Plan on an entire day for these rides. Little 500 was not forgotten on our list of cycling to-dos. Talking about cycling in Indiana without at least mentioning the largest collegiate bike race in the United States would be a sin we’re not willing to commit. 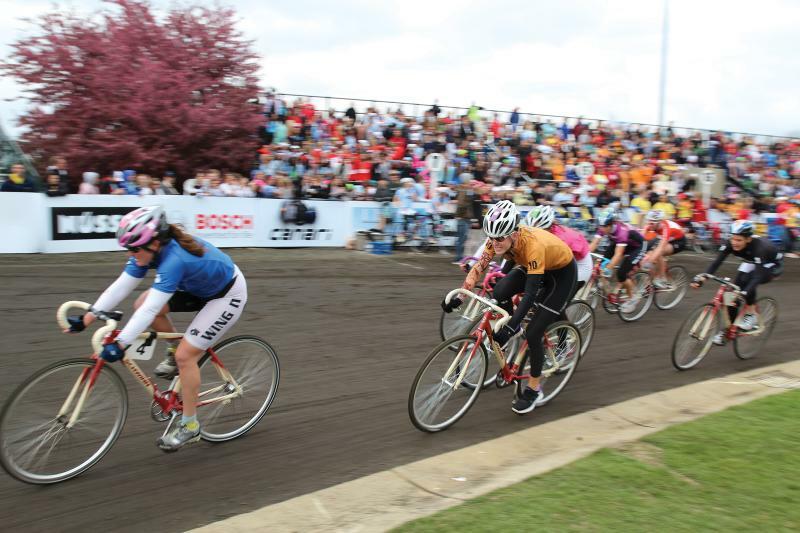 Little 500 is held every year in April through the Indiana University Student Foundation as a way to raise money for private support for Indiana University students. It is modeled after the infamous Indianapolis 500 and the riders compete in four-person teams around a quarter-mile cinder track at Bill Armstrong Stadium. The women’s race is held on Friday and totals 100 laps (25 miles) and the men’s race is held on Saturday and totals 200 laps (50 miles). As a Little 500 rider in 2014, Shannon Johnson can attest to that. She said there’s so much energy on race day and everyone is so happy that it doesn’t matter if you came in last or first. Everyone is hugging each other, high-fiving and congratulating one another because it’s a group accomplishment. You work so hard for so long and it all culminates at this moment. Many of the Little 500 riders ride in the Hilly Hundred and many of the local shops help out with the race and maintenance of riders’ bikes. This year marks the 68th running of the men’s race and the 31st running of the women’s race and will be held on April 20th-21st. So whether you’re new to cycling or a seasoned veteran, Bloomington has everything you need to take your cycling to the next level. Take to two wheels and we’ll see you on the road.